The Opinion was asked to address three questions: whether it was a ‘constitutional requirement’, within the meaning of Article 50(1), that Parliament authorise the final terms of any deal reached with the EU; whether the UK is able to validly notify its intention to withdraw from the EU, pursuant to Article 50(2), subject to such a requirement; and the legal consequences if that requirement is not satisfied. It is submitted, for reasons that will become apparent, that the latter question of consequence is effectively answered by examining the possibility of conditionality being attached to notice under Article 50, and this post accordingly considers the two issues together. Article 50(1) provides that the decision to withdraw from the EU must be taken by a Member State in accordance with ‘its own constitutional requirements’. The sequential application of this provision, or lack thereof, is addressed below, while the domestic constitutional requirements it refers to are considered here. The Supreme Court’s ruling in Miller confirms that, as a matter of UK constitutional law, only Parliament has the mandate to authorise, and give effect to, changes in domestic law and existing legal rights. The majority held that the European Communities Act 1972 has rendered EU law a source of domestic law, and now that it had acquired that status getting rid of it is not a matter of foreign affairs and therefore beyond the scope of the Royal prerogative. Put differently, although Article 50 operates on the international plane, withdrawal from the EU Treaties would change domestic law and affect rights enjoyed by UK residents; ministers cannot claim prerogative powers to take executive action which has such an effect without prior statutory authorisation. In his rebuttal, Professor Elliot asserts that, while Courts must interpret legislation primarily by reference to the words on the page, it is possible that a Court called upon to interpret the Brexit Bill, once enacted, would take some account of the context in which it was passed, and the shared understanding that it is intended to serve as a legitimate basis for the UK’s withdrawal from the EU. However, it seems to fly in the face of the Supreme Court’s ruling in Miller, in which paramount constitutional importance was placed upon Parliamentary sovereignty and statutory authorisation, for the courts to subsequently infer that an Act of Parliament, which only expressly endorses the Government to notify the EU of the UK’s intention to leave, implicitly authorises Brexit on whatever terms are reached or, failing that, absolutely and without any future relationship. To do so would diminish the role of Parliament to nothing more than a formality, to writing the Government a blank check for Brexit. Despite contentions to the contrary, such as those set out by Paul Daly, it is submitted that it is in fact impossible for an Act of Parliament to expressly authorise Brexit at this time because the terms, and concomitant change to domestic law and rights, is a matter for negotiation with the European Council. The Three Knights Opinion certainly reasons that the constitutional requirement of Parliamentary approval simply cannot be satisfied prior to conclusion of the Article 50 negotiation process as it is impossible for Parliament to know which rights under EU law will be lost or retained until that point. It follows that a further Act of Parliament will be required to authorise, and give legal effect to, the UK’s decision to leave the EU, and the associated removal of legal rights, upon conclusion of Article 50 negotiations. ‘Parliamentary sovereignty and the principle of legality require Parliament expressly to authorise withdrawal from the EU on the terms agreed with the EU, or to authorise withdrawal if no acceptable terms can be agreed.’ Support for this protestation that a subsequent Act of Parliament is a UK constitutional requirement, the significance of which at EU level will be addressed in due course, can be inferred from the dissenting judgement of Lord Carnwath in Miller : ‘whatever the shape of the ultimate agreement, or even in default of agreement, there is no suggestion .. that the process can be completed without primary legislation in some form‘ (emphasis added). As is set out in the Opinion, current arrangements regarding Parliament’s role at the end of the Article 50 negotiation process fall short of meeting the constitutional requirement of statutory authorisation. While the Government has conceded that Parliament will have ‘a vote’ on the terms of withdrawal negotiated with the EU, in accordance with Miller it is a constitutional requirement that there be an Act of Parliament in this regard. Asking Parliament to pass the proposed so-called ‘Great Repeal Bill’ is insufficient in meeting this constitutional requirement for two reasons. First, it will prove incapable of transposing all rights currently enjoyed under EU law, some of which are simply not capable of replication at the domestic level. Second, pursuant to the Supreme Court’s judgment in Miller, Parliament’s role is not merely to give legal effect to whatever ministers negotiate on the international plane. 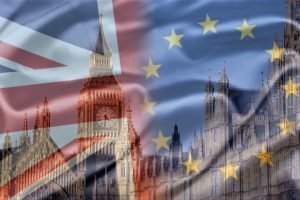 While the Government’s White Paper asserts that Parliament will determine the content of this legislation, its scope and substance will largely be pre-determined by the terms of any agreement reached between the UK and the EU. The Three Knights Opinion aptly notes the requirement of an Act of Parliament to ultimately give effect to Brexit upon conclusion of negotiations is not unprecedented. There is a well-established constitutional practice of Parliament legislating to require new international agreements, particularly those concerned with the EU, to be approved by an Act of Parliament before they can take effect. Similar constitutional arrangements apply in other Member States. Nevertheless, in order to provide legal clarity for the UK and EU, and ensure that the constitutional requirement of express Parliamentary approval is respected, a provision ought to be included in the Brexit Bill making it clear that the UK shall leave the EU only when Parliament has legislated to approve the terms of a withdrawal agreement or to authorise withdrawal in the absence of any agreement. The conditionality and revocability of notice under Article 50 was not raised before the Supreme Court in Miller as an issue requiring determination. It was common ground between the parties that notification under Article 50(2) could not be qualified or withdrawn once given, and the Court chose to proceed on this agreed assumption. The failure to raise or address the issue was indisputably politically motivated as opposed to stemming from an absolute consensus on the interpretation of Article 50. If adjudicated, as the domestic Court of last resort, the Supreme Court would have been obligated to refer the question of revocability to the ECJ for determination, pursuant to the Article 267 TFEU preliminary reference procedure. The political backlash against the EU judiciary meddling in the manner by which the UK withdrew from the Union would have undoubtedly been immense. However, without having made such a reference, contrary to Professor Elliot’s contention that Three Knights Opinion may not withstand the ruling in Miller, Miller may not withstand the Three Knights Opinion if the ECJ is ultimately to rule Article 50 to be revocable (see my earlier blog post on this issue). Contrary to the common ground in Miller, Article 50’s ‘assumed’ unconditional irrevocability is far from uncontentious. The assumption appears to stem from a strict textual interpretation of Article 50(3), which specifies that ‘The treaties shall cease to apply to the State in question… two years after the notification referred in paragraph 2’ (emphasis added), with only an option for bilateral extension of the period of negotiation provided. However, compelling counter arguments have been put forward in legal scholarship (see for example those set out by Professor Closa), many of which find repetition in the Three Knights Opinion which gives a well-reasoned explanation as to why Article 50 ought to be interpreted so as to permit notice to be given in conditional terms and to be unilaterally withdrawn. First, there are various inferences that can be drawn from the text of Article 50. The absence of any provision precluding revocation of a notice indicates that such a step is otherwise permitted. Article 50(5) addresses the situation of a Member State which has already withdrawn from the Union but later changes its mind and asks to re-join, but there is no comparable provision for a Member State that changes its mind prior to withdrawing indicating that no particular formalities apply and the Member State in question simply remains within the Union. Pursuant to Article 50(1), a decision to withdraw must be in accordance with the Member State’s constitutional requirements, however, for the reasons set out above, these requirements cannot necessarily be satisfied at the time when notice is given and it therefore follows that notice must be revocable if it later transpires that national constitutional requirements have not been satisfied. Put differently, Article 50(1) and (2) should be read concurrently as opposed to sequentially, meaning a Member State’s constitutionally compliant decision to leave the EU does not have to be effective before notice under Article 50(2) is given. While Professor Elliot contends that this conclusion sits uncomfortably with Article 50 purportedly presupposing that a valid and legally complete decision to withdraw exists prior to the point of notification, he overlooks the specific language of Article 50(2), namely the use of the word ‘intention’ and the present tense ‘which decides’, rather than ‘has decided’. Second, it would be incompatible with the EU Treaties for Article 50 to have the effect of ejecting a Member State from the EU against its will, or contrary to its own constitutional requirements. Article 50 is a mechanism dealing with voluntary withdrawal from the Union, it is not a mechanism for expulsion. It is, in fact, inconsistent with the fundamental principles and aims of the EU for a Member State to be expelled against its will. Further, Article 50 is premised on respecting the constitutional requirements of the Member States. If, in accordance with its own constitutional requirements, a Member State’s intention to withdraw from the Union changes, it would be inconsistent with the fundamentally integrationist rationale of the Treaties and their emphasis on shared democratic values for such a change in intention to be rejected by the EU. Third, when considering possible interpretations of Treaty provisions their consequences must be born in mind. As Professor Craig has explained, to read Article 50 as not allowing for the possibility of substantive change in circumstances in a withdrawing Member State within the two-year negotiating period would give rise to potentially severe consequences. Fourth, consideration should be paid to international law and practice. Almost all supranational organisations require a ‘cooling off’ period between announcement and effective withdrawal, thereby providing a time-frame within which the withdrawing state can change its mind. Further, Article 65 of the Vienna Convention on the Law of Treaties permits a party to give notice of a ground for withdrawing from a treaty, which Article 68 provides may be revoked at any time before it takes effect. The question then arises as to the consequences if the relevant constitutional requirements are not satisfied at the end of the Article 50 negotiation process. The Three Knights Opinion contends that Article 50(3) must be read subject to Article 50(1), meaning that a Member State cannot be forced out of the EU otherwise than pursuant to a voluntary decision taken in accordance with its own constitutional requirements. It follows that, although Article 50(3) states that a withdrawing Member State ceases to be bound by the Treaties either from the date provided for in the withdrawal agreement or, failing that, two years after notification, this is not intended to cover a situation where a Member State does not maintain its decision to withdraw, or where its constitutional requirements for that decision have not been met. As such, if Parliament were unwilling to consent to any agreement the Government negotiates, or approve withdrawal if no such agreement is reached, Article 50(3) would not automatically bring to an end the UK’s EU membership. Similarly, the fact that Article 50(3) imposes a requirement for the unanimous consent of all remaining Member States to extend the negotiating period does not mean that such consent would be required for a Member State to change its intentions. While there is good reason why a decision to extend the two year negotiating period should require unanimity – such an extension is likely to prolong a period of considerable uncertainty for all Member States – withdrawal of a notification by a Member State would tend to restore legal certainty. The Opinion concludes that, if the intention expressed in the Article 50(2) notification is subject to the fulfilment of subsequent constitutional requirements, and if those conditions remain unsatisfied at the end of the Article 50 negotiation period (for example, Parliament were to refuse to give legal effect to the terms of a withdrawal agreement negotiated with the EU, or were to refuse to authorise withdrawal in the absence of any agreement) the notification given would have to be treated as having lapsed because the constitutional requirements necessary to give effect to the notified intention have not been met. In such circumstances the Member State in question ought to notify the European Council that the constitutional requirements applicable to its decision to leave the EU had not been fulfilled and that the notification of its intention under Article 50(2) should therefore be treated as withdrawn. The so-dubbed ‘Dublin Case’, legal action launched in Ireland by Jolyon Maugham QC, seeks to refer the question of Article 50’s revocability to the ECJ for final determination. However, whether the proceedings will manage to solicit such a ruling is subject to debate. The EU judiciary may, ultimately, refuse to adjudicate as the question posed is only a hypothetical.